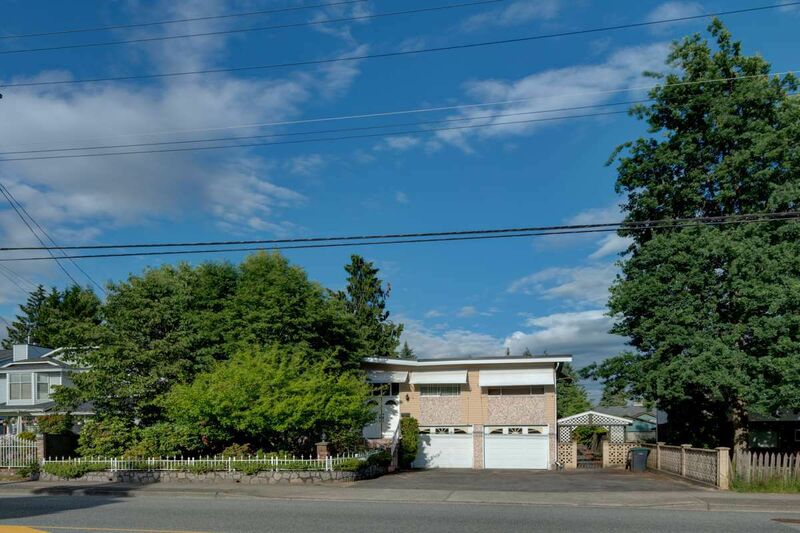 Great Central Coquitlam family home. This well built and carefully maintained 51 year old home is clean as a whistle and in ready to move in condition. This cathedral entry home has a spacious 1484 Sq ft main floor featuring 3 Bdrms. including a master with 2 piece ensuite. Large living room, dinning room and family room off kitchen. Large covered deck off main floor enjoys abundant morning light and is perfect for family size outdoor entertaining. Modern tile floors, gleaming hardwood, crown molding. Feature wood burning fireplace in living room. Custom window coverings and drapes. Basement area is 940 Sq. Ft. large functional laundry room, rec room with wood burning fire place. Double garage and expansive driveway for easy access off blue mountain. Lane access to rear of property.